Last Friday night The Chief stopped eating. He told me he wanted pizza for dinner, so I made a phone call to Chup who produced a hot cheese pizza in mere minutes. If only parenting were always so convenient . . .
And he didn't eat another solid piece of food for a week. We thought it was his teeth. "Do your teeth hurt?" we prodded. We poked. We made him open his mouth a million times. "Is it your throat, does your throat hurt?" we'd point to his neck to identify the throat area. We bought him his favorite treats, snacks and tempting sugary things. Apples, potatoes, fries. Toast, cheese, noodles in warm soup. "No! No! No! OUCHY!" he'd protest. By Sunday we were genuinely worried. At meal times Chup would stare at me and I'd stare at Chup and we'd communicate looks that said, "WHAT ARE WE SUPPOSED TO DO?" I thought of everything, from flu to diabetes. From constipation to cancer. I let myself take mental shots of fear--over and over until I was utterly drunk from anxiety. I tried not to talk about it to others because it was raising a lot of, "Oh, I would be worried"--type commenting crops. Sometimes I forget there is so much more to parenting then seeing a problem and fixing it. 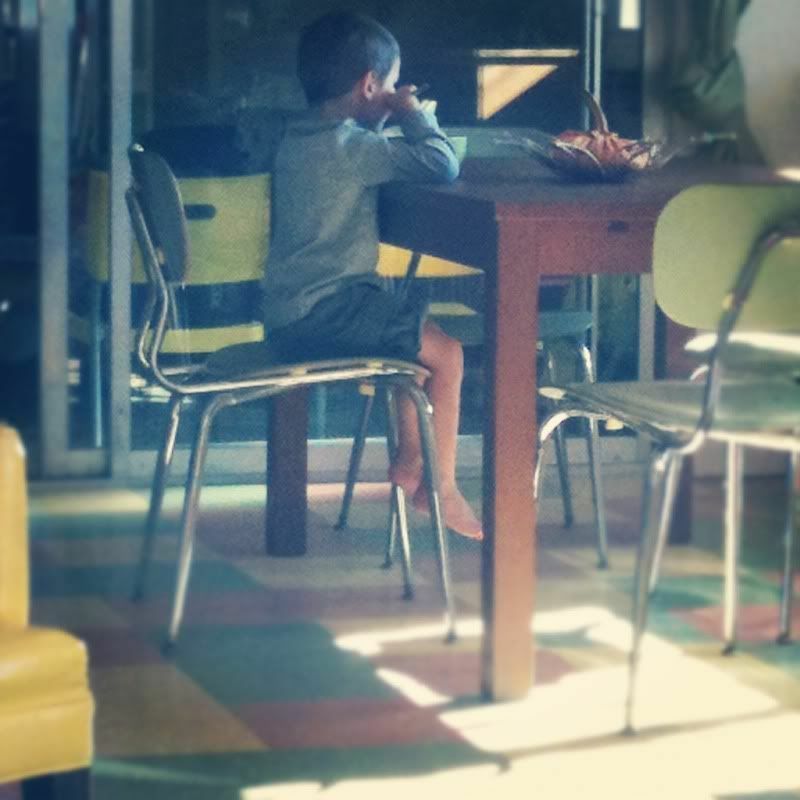 Along with being worried for my child, I was also worried I wasn't competent enough to help him. I wanted to take him in to see a doctor, a specialist, a whatever, just to rid myself of the shame. I wasn't so afraid of him being sick as I was of me being helpless to help him. Finally I let myself be quiet long enough to hear the sense in my spirit. He's fine. He'll eat when he's ready. So I calmed myself down knowing that if something were to be wrong, I'd feel that too. And even though faith-based parenting can be as overwhelming as fear-based parenting, (so many "what ifs?" to overcome, as in "what if this goes on for two weeks, two months, two years?") I decided to give it a try. Chup bought him some vitamin packages to mix in with his milk consumption. I allowed him to eat soft sherbet when he wanted. He drank Janna's grape juice and seemed to have a perfectly functioning digestive system all the while. And exactly one week later, on the next Friday night, the kid inexplicably ate a healthy helping of tortellini. And he's been eating like a ravenous, brown-eyed wolf ever since. Which leads me to ask myself, about this parenting thing, what exactly am I so afraid of?